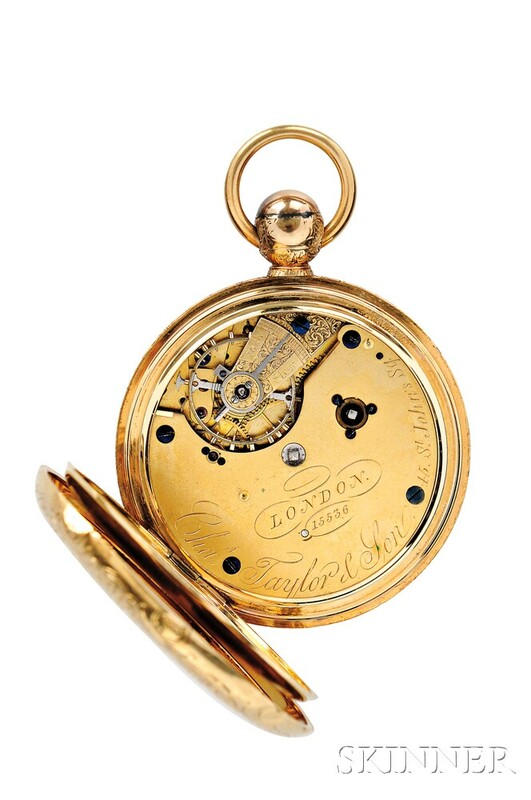 Charles Taylor & Son 18kt Gold Hunter Case Watch, 45 St. John's Square, London, No. 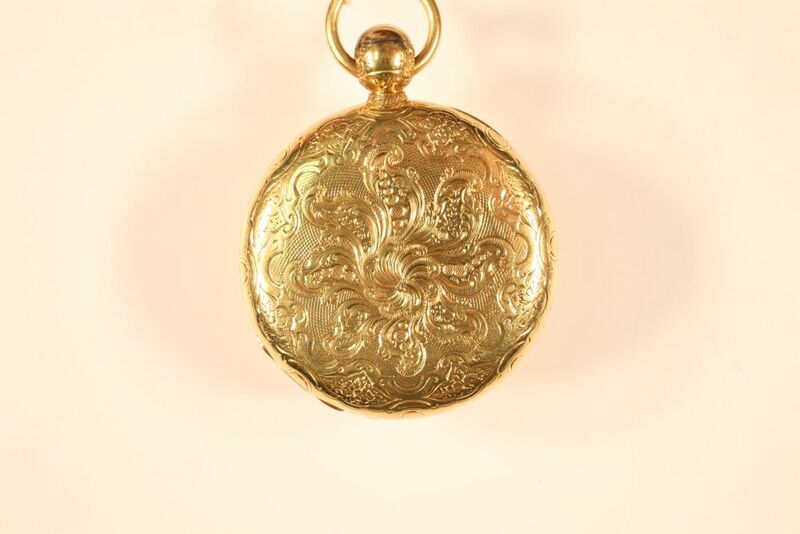 15536, engraved and chased case hallmarked 18 (with a crown), S.B, 15536, and with a presentation inscription by the Directors of the Clay Street Wharf Company to Henry A. 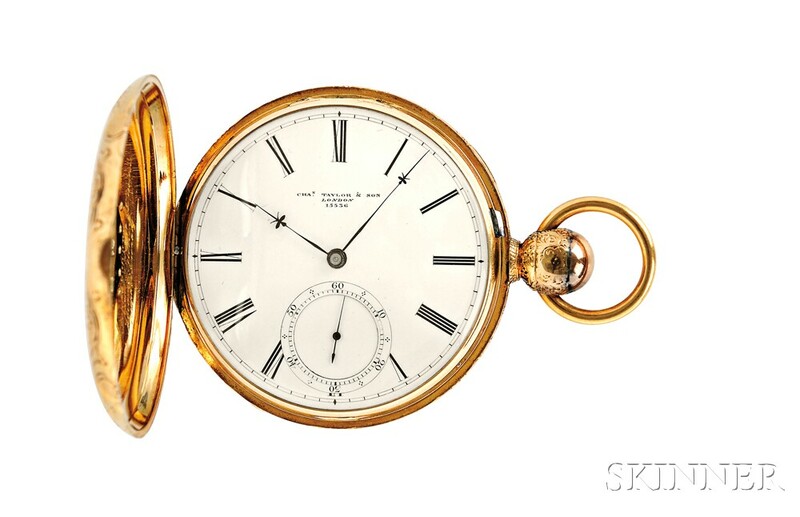 Breed, President, porcelain Roman numeral dial signed by maker and numbered, blued-steel hands and sunk seconds, engraved cuvette opens to the three-quarter gilt plate key-wind and set movement marked by maker as above, lever escapement and bi-metallic balance with diamond endstone, dia. 53 mm, 152.8 g.